Brazilian rhythms meet afrobeat, funk, & soul! (I only had time to put a few of my favorite tracks up so far). 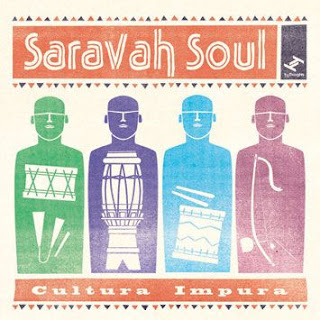 "Exploding out of the rich cultural melting-pot of London’s underground music scene comes the half-Brazilian, half-British, Afro-Brazilian Funk sound of Saravah Soul." The album is on the London-based TruThoughts label. Ned Williams will host a Dunham Technique workshop on Sunday October 10, 2010 at PMT Dance Studio in Manhattan. I highly encourage anyone who is interested in the dances of Africa and the African diaspora to attend. What is the Dunham Technique? A blend of African & Caribbean movement (flexible torso and spine; articulated pelvis; isolation of the limbs; and polyrhythmic movement) integrated with techniques of ballet and modern dance. The class supports the beginning student by providing a constructive warm-up through guidance on healthy body movement and coordination as well as a strong emphasis on basic placement and alignment. Learn the fundamentals of Dunham techniques such as Dunham flatback, body isolations and head rolls in a positive and supportive atmosphere. This class supports the advanced student with concentration on Dunham combinations across the floor, intense bar work and fluid body movement. It encourages students to develop an in-depth understanding of movement as well as meaningful appreciation of Dunham technique in a positive and supportive atmosphere. Clara Nunes was a factory worker when she decided to compete in a music contest, placing third at the finals held in São Paulo in 1959. She got a day-job at a radio station in Belo Horizonte (capital of Minas Gerais, Southeast Brazil), and sang in nightclubs. 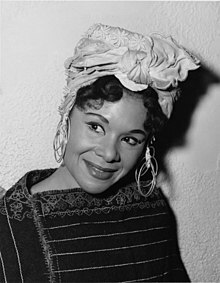 In 1965, Clara moved to Rio de Janeiro, recording boleros (Spanish music made for dancing) and samba songs on her first album. After a few LPs featuring assorted styles, she signed her name as a samba vocalist in the 70s. In 1974, her album sold approximately 300,000 copies, thanks to the hit samba "Conto de Areia" (Romildo/ Toninho). It was a remarkable number then, helping put down the common idea that women weren't big record sellers and stimulating the companies to invest in other female samba musicians, like Alcione, who made her first album in '75, and Beth Carvalho, hired by RCA in '76. The following albums transformed her into one of the three samba queens of the '80s, along with the two above-mentioned musicians. In the second half of the decade, she would release one album every year, all of them selling well and featuring historic tracks like "Juízo Final" (Nelson Cavaquinho/ Élcio Soares), "Coração Leviano" (Paulinho da Viola) and "Morena de Angola" (Chico Buarque). Clara was also famous for songs crafted upon the rhythms of Candomblé, her African-Brazilian religion, and for her typical costumes, as she always dressed in white and wore lots of necklaces and African beads. She died prematurely, after a botched surgery, causing a popular outcry. I like the choreography in this video--there's some old-school hip hop moves (specifically popping, I believe) and even a little samba. Found out about it through Mais Um Gringo's Blog. The video is nominated for MTV Brazil Clipe do Ano (Video of the Year Award). 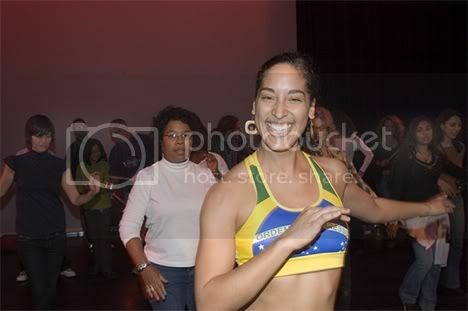 The big day is coming....Brazilian Day NYC 2010! Description: This after-work party sizzles with a performance by two samba dancers and hot Brazilian beats & top 40 dance hits from DJ Fabio Soul. Don’t miss the Caipirinha drink specials! Details: Cash Bar & Cash Buffet available. The boat is enclosed and climate controlled. We sail rain or shine. Requirements: All guests must be 21 & over with proper state ID or passport. Dress Code: Trendy / Business Casual. No sneakers. We reserve the right to be selective. "Leticia is an artist, performer, entrepreneur and educator. 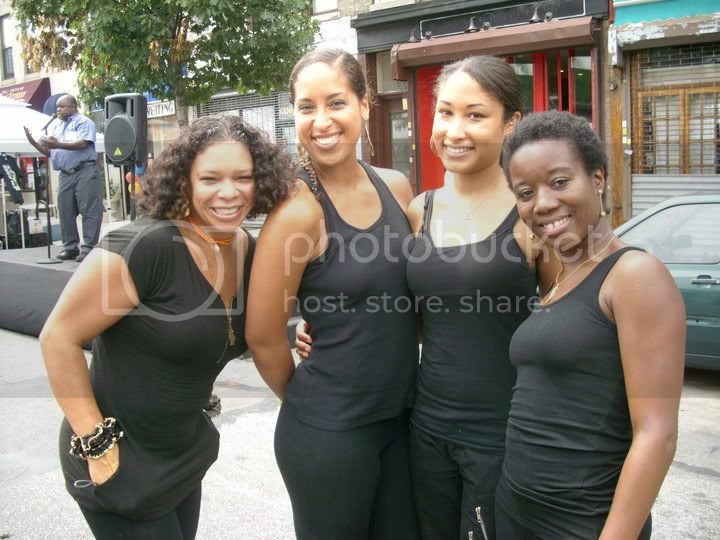 She has been teaching samba in New York City since 2006. She lived and studied in the northeast of Brazil (Fortaleza, Ceará), speaks Portuguese fluently . . ."
I stumbled upon this really great funky samba podcast out of L.A. California! I've been listening to the "Pop Lock to the Disco Funk" episode. Hope you like it as much as I do! THANK YOU! to all my lovely students who performed Saturday. You rocked!! Can't wait to do it again. I stumbled upon this positive review of one of my classes on socialworkout.com. Appreciation Class Sunday 6/6 in Brooklyn! Come enjoy a free samba class taught by me! My way of saying "thank you" to my loyal students! Bring your friends! b/w St. James Place & Washington Ave.